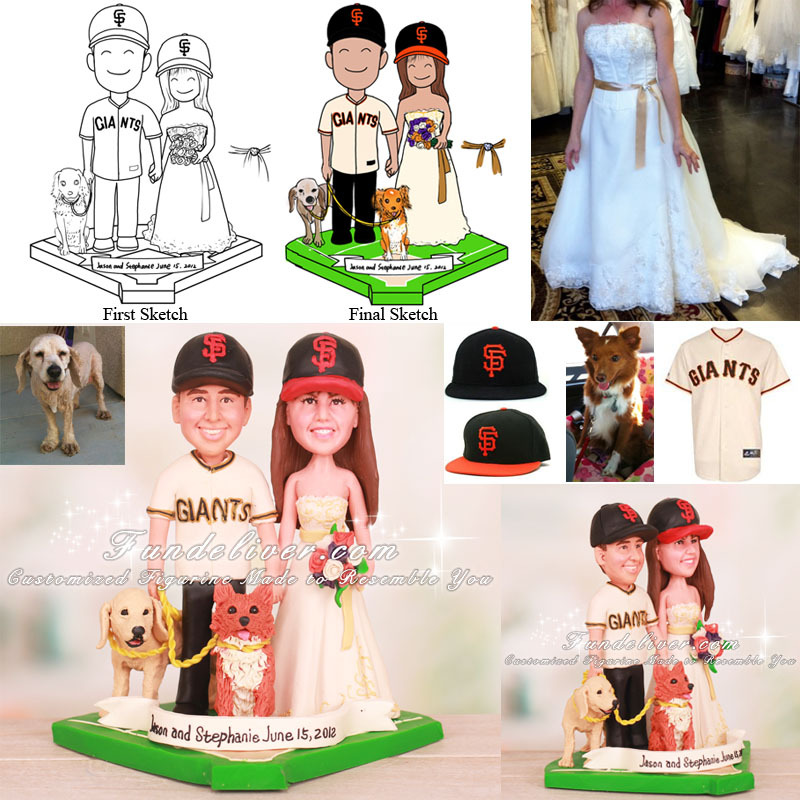 This is a completely customized San Francisco Giants baseball wedding cake topper with dogs ordered by one of our customers. They would like the bride and groom to be holding hands and smiling. The bride is holding her flowers in other hand. Flowers are purple, orange and ivory roses. She is wearing wedding dress and San Francisco Giants Sunday cap (orange bill). The dress is ivory, and has gold embellishment around the hem and bodice. They would like the groom to have the dogs on gold leashes to his right and front. He is wearing San Francisco Giants cap with the black bill. Also he is wearing black slacks and shoes along with the SF Giants Home Jersey. 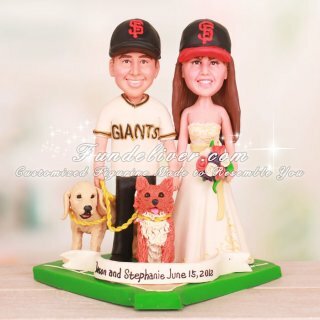 They would like the couple to be standing on a baseball diamond with a banner on the front reading “Jason and Stephanie June 15, 2012”.